At roughly this time every year, 100,000 people from across the globe converge to exhibit, inspire and debate about all topics mobile. This week sees the thirty-first Mobile World Congress take place in Barcelona, and it promises to be bigger than ever. So what can we expect from this year’s event? New mobile handsets, lots of them. Every year the globe’s major handset manufacturers (bar one) use the event to launch their new wares. Already confirmed are new devices from Sony, Samsung, Huawei, Lenovo, HTC, LG, Motorola and ZTE, amongst others – all showcasing their new Android-based smartphones featuring faster processors, longer battery life, smaller screen bezels and various new pieces of functionality. There are even rumours of Samsung launching a foldable phone, if not at MWC then definitely later this year. The real excitement seems to centre on a couple of old favourites. You may remember the Nokia 3310? 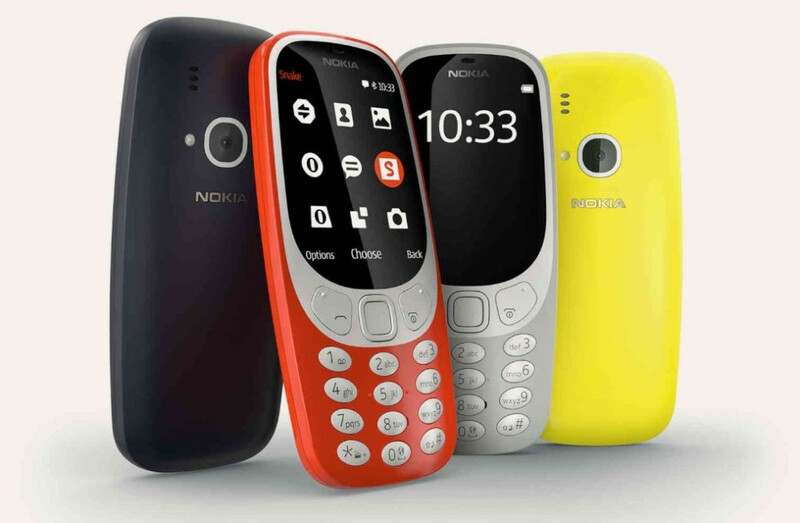 Well, it’s made a comeback, except it’s not built by Nokia (apparently they don’t do that anymore). Instead, it’s manufactured by a Finnish start-up, HMD Global, under a Nokia license. Apparently the once potent mix of simple usability, month-long battery life and small size still holds a huge appeal for some. Nokia also showed its intent in the smartphone market with the launch of the new Nokia 6 which looks to be a good medium-level device. Similarly, Blackberry have unveiled the KeyOne handset which is more security-focused, helping the user keep their data secure, and yes it has a built in keyboard. It is 10 years since the launch of the iPhone, and it is a couple of feature phones that look like making the most headlines at this year’s event. Expect to see artificial intelligence, machine learning and deep learning all make an appearance at this year’s show. Amazon dominated CES 2017 as multiple companies displayed their Alexa-integrated connected products. 2017 has seen a giant step forward in bringing the concept of the ‘internet of things’ to life. Although conceptually nothing new, the attainability is. There is a new internet technology race going on – the battle to dominate the connected home through voice search and artificial intelligence, currently in the form of personal assistants. All of the internet giants have either launched or are in the process of developing their AI platforms. Whoever wins this race will find themselves in a strong position for the future, as the data collection opportunities mean they will be able to offer a powerful set of customer services, guaranteeing future revenues. There are sure to be more alternate reality devices, whether this be virtual, augmented or mixed reality being displayed at this year’s event. Since MWC 2016, Pokemon Go exploded across the globe, demonstrating what can happen when alternate realities are combined with entertainment, ease of use and accessibility. It is becoming increasingly commonplace for some handset manufacturers to sell virtual reality headsets alongside their smartphones, as we are seeing a real push to grow this sector. Samsung’s Creative Lab team is showcasing a range of virtual and augmented projects at four years from now, which is the new tech start-up area situated at the old Fira. One of their showcases is called traVRer which is a 360 degree platform enabling the user to experience virtual travel, where they can visit famous landmarks across the globe, complete with mood, noise and events. The sophistication of these devices continues to develop rapidly and is sure to be evident at this year’s event. The pace, complexity and cost associated with operators activating a 5G roll-out is sure to be a hot topic at this year’s event. On one hand you have growing consumer appetite for connectivity, while on the other you have the cost and complexity of any infrastructure upgrade. It is a major challenge for operators and governments to keep pace with consumer appetite in this area. Apparently 2020 is still held up as being the time we will start to see 5G connections come to the fore, which still feels a long way off. Let’s hope the mistakes made around 4G rollout have been learned, as the cost and pace of deployment left a lot to be desired. The theme of this year’s event is ‘The Next Element’, and it’s set to showcase a breadth of exciting new technological developments spanning the entire mobile eco-system. The underlying theme to the whole event indicates that the progress towards a truly connected and smart life is continuing. Originally published in M&M Global.